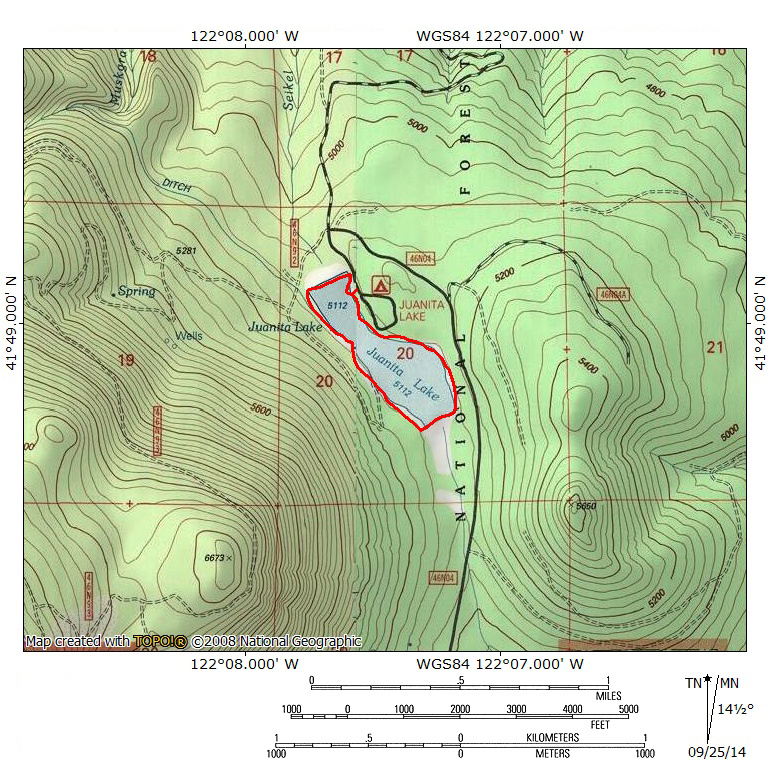 A short, easy loop around a small lake in the Cascades north of Mount Shasta. 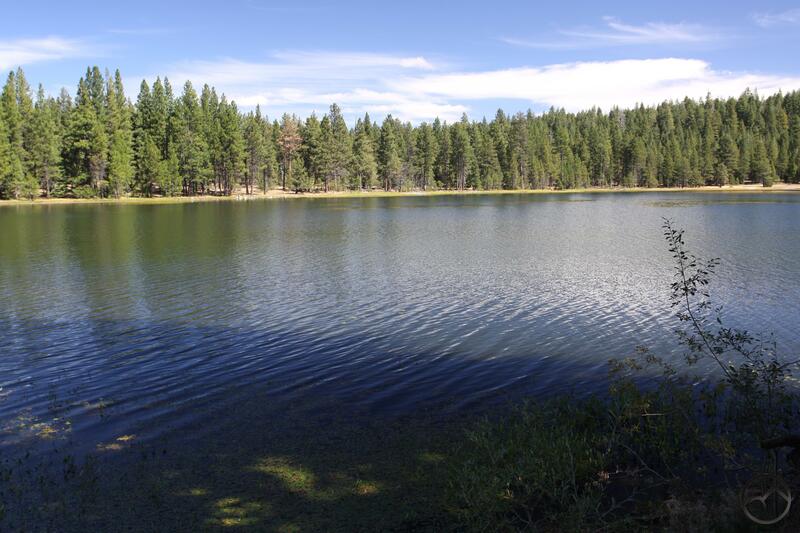 A bit far from most activities around Mount Shasta, the quiet campground, pleasant lake and beautiful forest make this a great spot to enjoy a peaceful place to relax. 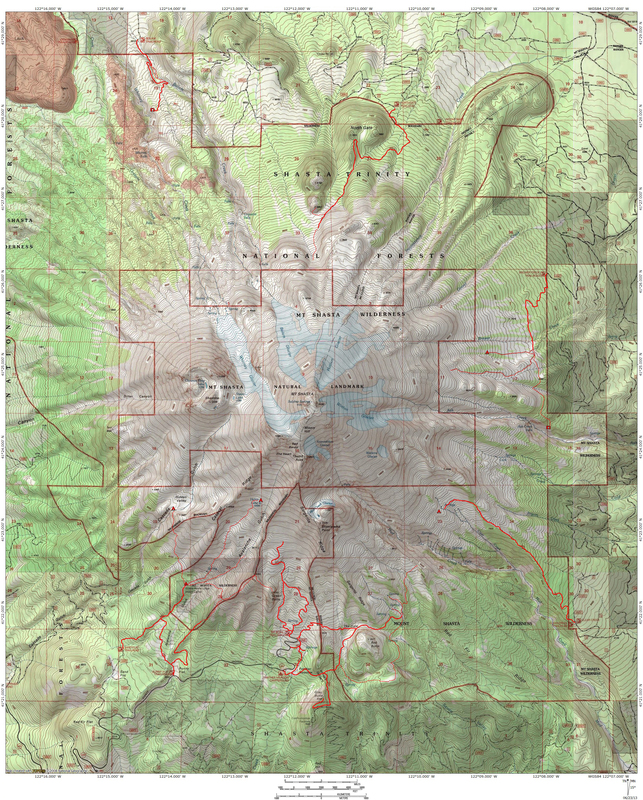 Between Mount Shasta and the Oregon border, the Cascade Range gets very little attention from hikers or campers. Despite Cascade’s crest stretching more than 35 miles long, there are only three developed trails in the entire area. This is a shame because there are several places blessed with great or unique beauty. The trails that have been developed are nonetheless forgotten or ignored. 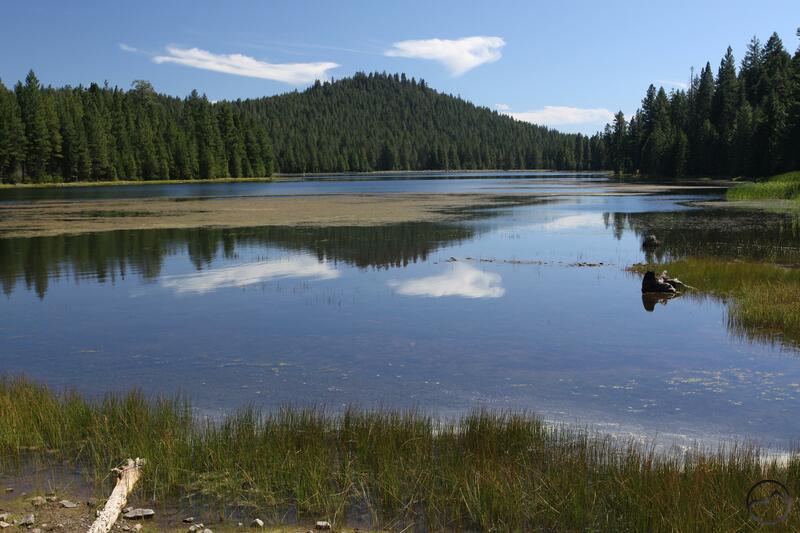 As with the other trails in the Cascade crest, this is the case with the modest trail around Juanita Lake. A small reservoir occupying a depression between a low knoll and towering Ball Mountain, the lake is a quiet mountain getaway in an out of the way mountain range. Since it is so out of the way, most of the use comes from the small population of the Butte Valley but it is still very lightly used. 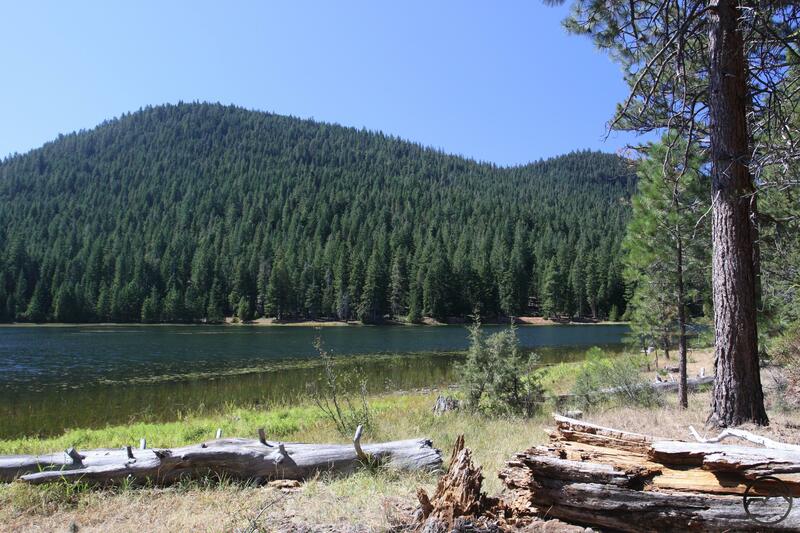 If you are looking for a place to camp or a serene place to relax and enjoy the forests and mountains, then a hike around Juanita Lake may be what you are looking for. The trail begins at the campground by the boat ramp. A short, floating gangplank extends out into the water and is a good place to get an unobstructed view of the entire lake. From the boat ramp, head south and walk along the paved trail that parallels the shore. The Juanita Lake campground is spread around the woods to the left of the trail. Large trees line the lakeshore but periodic openings have nice views across the water toward a low shoulder of tall Ball Mountain While the shoulder is only 1,000 feet above the water, the summit of Ball Mountain climbs a lofty 3,000 feet overhead, though it is not visible from the trail. After 0.35 miles the trail leaves the campground behind and makes its way alone toward the south end of the lake. The path turns to the right and crosses the long earth dam. On the west side of Juanita Lake, the trail turns north and enters a dark forest. Even though the woods are thick, there are nice grassy fringes along the lake to sit, relax and enjoy the view of the pleasing forest across the water. The trail continues along the west side of the lake for 0.65 miles. As the trail approaches the north end of the small reservoir, look for water flowing under the path. The water is flowing through a diversion channel that supplies the water for Juanita Lake. The source of the water is nearby, spring-fed Musgrave Creek. The water is diverted into the channel through which it flows for over 1 mile before emptying into the lake. Just past the diversion channel the trail reaches the north dam. Cross over the dam, which has some of the best views of the hike, and then return to the trailhead by the boat launch. Below the north dam are some nice meadows that offer a chance for some relaxing exploration. From the beginning of Highway 97 in central Weed, head east on Highway 97 for 36 miles. After leaving the mountains for the agricultural fields of Butte Valley, turn left onto W. Ball Mountain – Little Shasta Road. Drive 2.7 miles then veer right onto paved Forest Road 46N04. Continue 3.6 miles to the campground and trailhead.